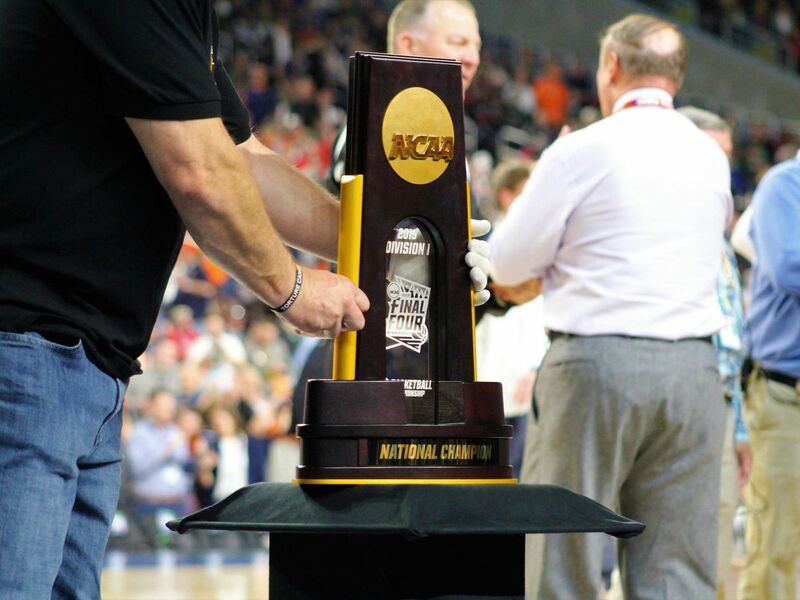 NACOGDOCHES, TX (KTRE) - Last night was a special night for a father and son during halftime of the Stephen F. Austin State University basketball game. 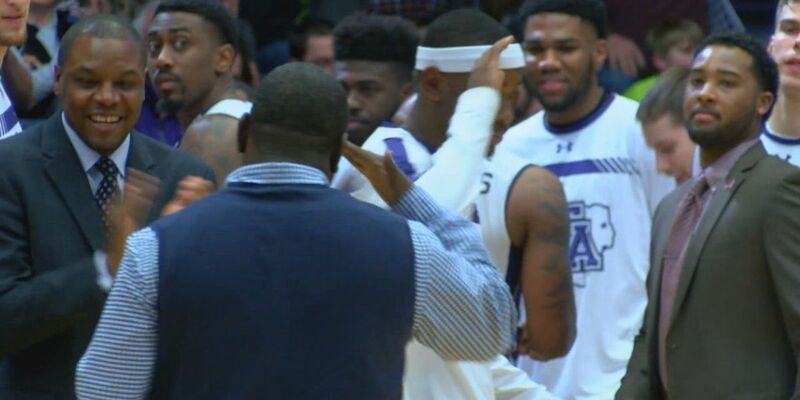 The SFA Lumberjacks always take time at home games to honor veterans. The school has started a tradition of honoring a veteran at every home game. The school does it at the end of halftime. The players know it is happening and always take time to shake the hand of the man or woman but on Wednesday night the handshake was a little more personal. As the long list of retired Staff Sgt. 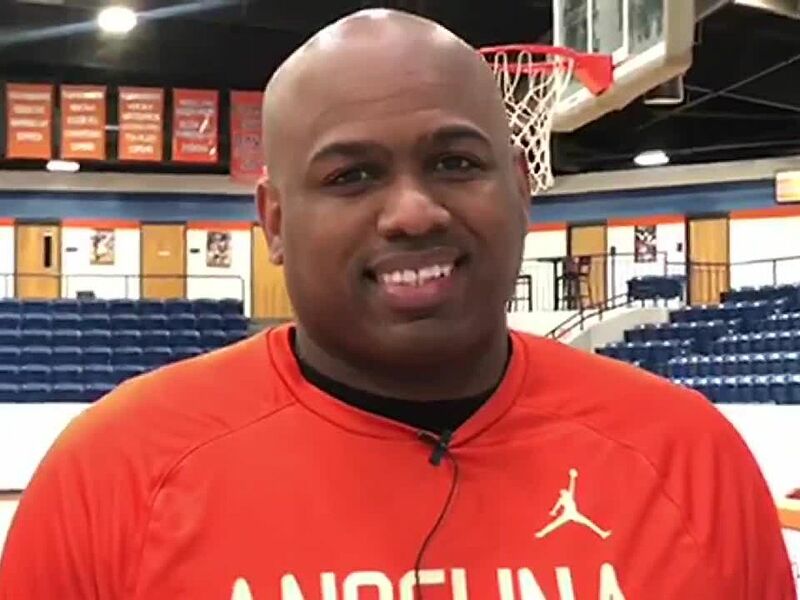 Shannon Bogue Sr.'s accomplishments was read, it became apparent to the home crowd that the man standing at center court was more than a veteran, he was the father of one of the SFA Lumberjacks. Bogues is the father of Shannon Bogues Jr. The Junior guard from Killeen continued with his second half warm up as the long list of accomplishments and medals were named off. Like every night, the Lumberjacks all lined up and gave a hug and a thank you to the veteran but tonight many of them had a bigger smile on their face. Bogues was the last one to hug his dad and after a hug and a short talk, he saluted his dad as he headed back to the bench. Bogues played a big role for the team as they went on to win 78-68. "I think it is great that we do this here," Coach Kyle Keller said. 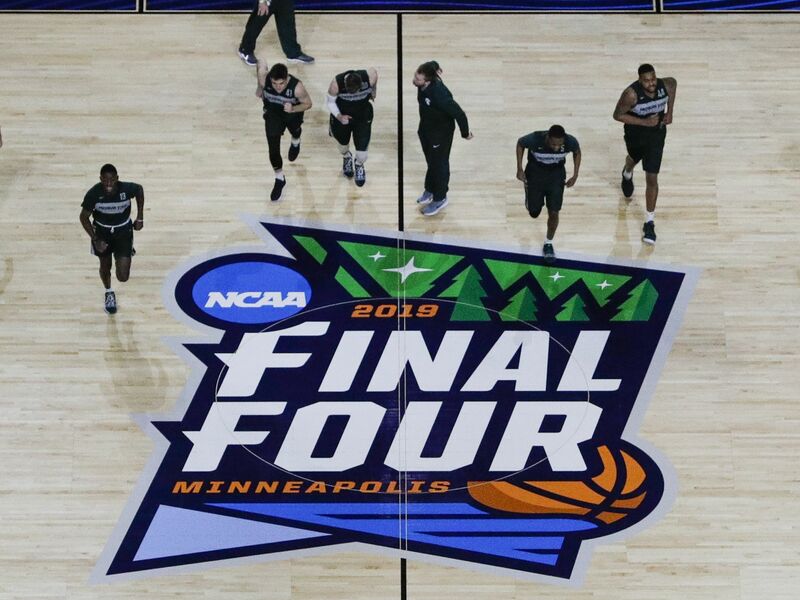 "It was very special for the Bogues family and for Shannon. I did not know his dad was the one being honored until we came out of the tunnel and when I did I thought, 'Hey this is pretty cool.'" Keller said the school makes it a point to do the ceremony and he always feels pride when they get to play at home knowing what will happen at halftime. 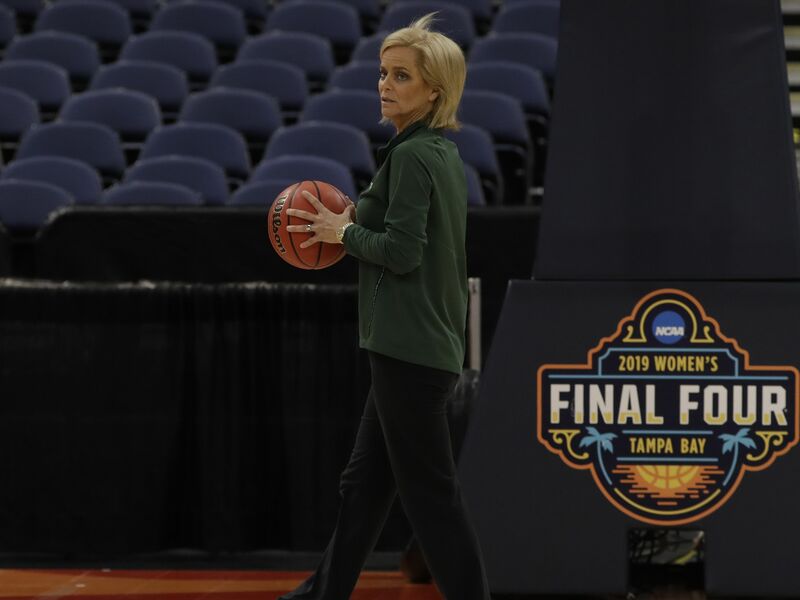 "I know we have a lot of division in our country right now about veterans and different things with sports," Keller said. "I am really proud that our guys understand what it is to honor a veteran and how they allow the freedom in our country to do what we want to do and express that freedom in our country. What these gentlemen and women do for our United States is a unique and special thing at SFA. I am proud to represent SFA in this." 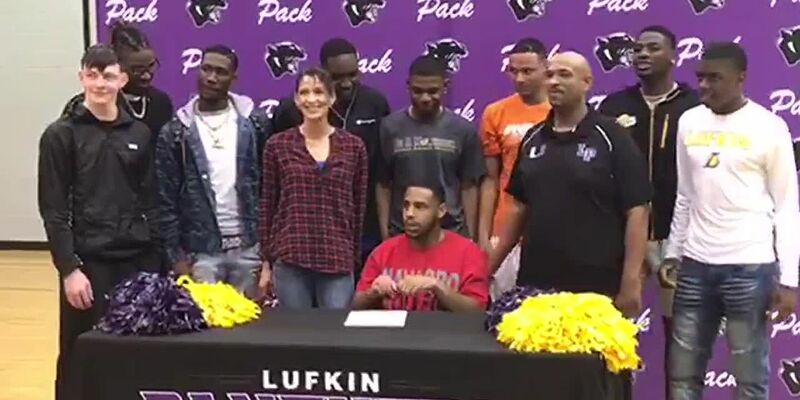 Five Lufkin High School student-athletes signed letters of intent to play their respective sports at colleges Wednesday morning. 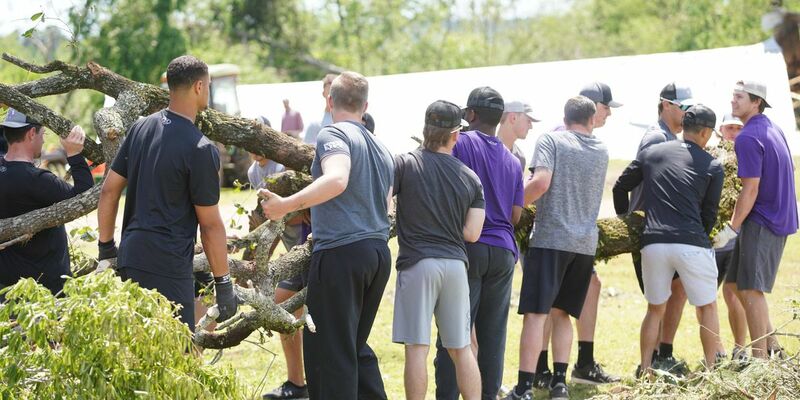 In the wake of the storms that blew through the Alto area over the weekend, the Stephen F. Austin State University baseball team pitched in to help clear debris from the Caddo Mounds State Historic Site Monday.